You'll need a case to protect Apple's largest iPhone yet. Read the article to learn what makes these our top picks. 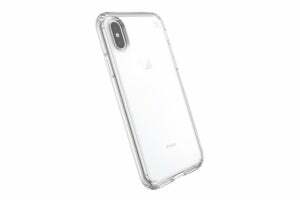 So if you’re planning to buy the iPhone XS Max, you’ll want a case to protect it. Fortunately, there are already quite a few very nice cases out there. From transparent, to leather, to rugged and wallet designs, we rounded up some of our top picks. As more cases become available, we’ll update this article. So watch this space. The iPhone XS Max might offer just three color options (unlike the six colors of its iPhone XR sibling), but nevertheless you might want to show off the Max's elegant space gray, silver, or gold body. A transparent case lets you do that, while also protecting your investment. 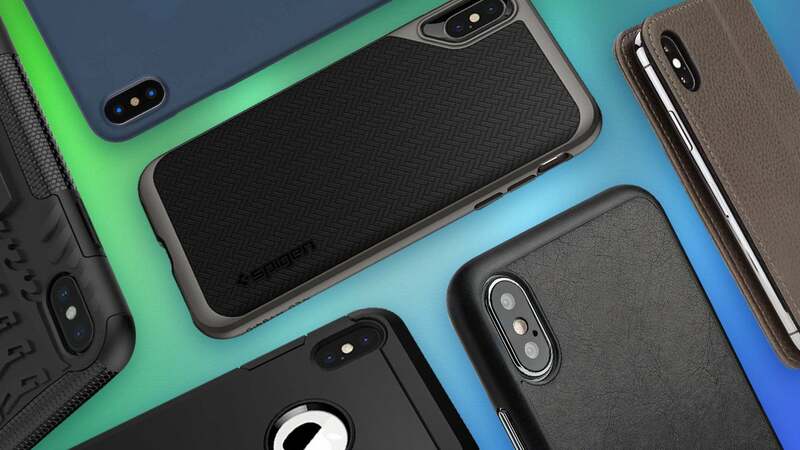 Highlights: Speck’s Presidio Stay Clear case is perfect for showing off your iPhone XS Max while providing ample shielding. The case has two layers of protection and a raised bezel, which is meant to protect your phone from drops up to 8 feet. It also claims to absorb UV rays and oil to prevent smudging. To the touch, the case is unflexing and incredibly tough. Speck provides free shipping and returns in the U.S. And if you’re so inclined, you can pay an extra $5 for two-day shipping. Highlights: Casetify is known for its eclectic mix of cases with striking designs and artwork, but it also has simple, transparent cases. 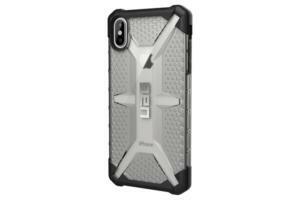 The Grip Case is one of them, providing lightweight protection and a smooth finish that keeps your iPhone safely in hand. The border of the case also has three alternate colors to choose from. 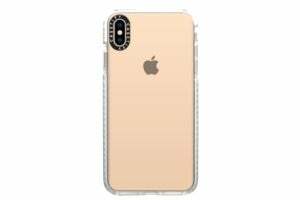 If you want even more protection, you can also go for the clear version of the Casetify Impact for $5 more. Casetify only provides a 6-month warranty, and shipping is included on orders more than $35. Highlights: UAG’s cases both look and feel indestructible. The Plasma Ice is no exception, but it also shows off your iPhone through its clear back. Despite its rugged design that meets military drop-test standards, the case is surprisingly light. The buttons are also oversized and easy to press. UAG’s cases come with a 1-year warranty and include free shipping in the United States. 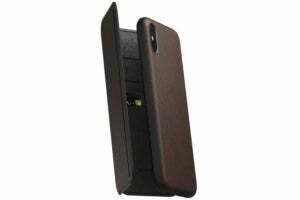 These cases provide protection for your phone and a handy way to carry your credit cards and cash, thereby eliminating the need to carry a separate wallet. Gotta love that. Highlights: If you prefer wallet cases, there's so much to love about Pad & Quill's Bella Fino. The leather case feels incredibly lux and thicker and heavier than other wallet cases we've tried. It also closes with a satisfying magnetic snap and seems durable enough to last for years to come. You can even customize the case with your initials. Pad & Quill offers an impressive 25-year leather warranty, which is something we haven't seen from any other case maker. Shipping is included for all orders in the United States. 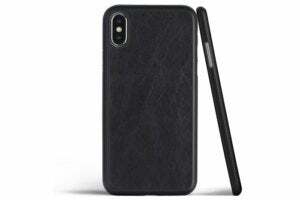 Highlights: This wallet case from Silk has a pleasing textured, no-slip grip and internal air-pockets to protect the iPhone XS Max. And it snaps on the phone for a perfect, tight fit. Its back can store up to three cards plus a few bills, but that’s generally enough when you’re on the go. One of the case’s clever perks is how you can stick a card in a groove on the back to give it a kickstand. 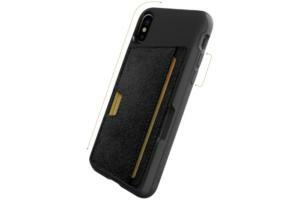 The case includes a screen protector, a limited lifetime warranty, and 2-5 day USPS shipping in the United States. Not a bad deal. Highlights: For 30 bucks, this case from Snakehive is a great deal for a product looks and feels much more expensive. The treatment on the leather has a suede-like feel that makes it difficult to keep your hands away. The interior pockets are also very roomy and capable of holding plenty of papers, bills, and cards. You can even fold the case so it works as a kickstand for your iPhone XS Max’s huge screen. All Snakehive products offer a 1-year warranty and the company provides free shipping on orders over $25. Highlights: Bellroy is a maker of premium bags, smartphone cases, and accessories with some classic looks. 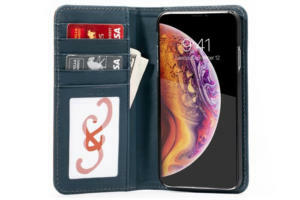 This 3 Card phone case is available for the iPhone XS Max (as well as the smaller XS and XR models) and is made from sturdy leather while being surprisingly light. The magnetic card holder on its back can hold about three credit cards or a few bills. Every Bellroy case comes with an impressive 3-year warranty. Shipping to the United States and Europe is included in the price. Highlights: The serious leather workers over at Nomad went beyond their typical folio with this tri-folio case. Nomad’s Rugged Tri-Folio takes wallet cases to the next level with a hefty amount of storage. There’s really no need to have a wallet when you’re carrying around something like this. It means business, with slots on the cover and two interior folds. The leather is also top grade, the stitches are seamlessly tight, and the leather is meant to last and only grow more stylish. Over time, the leather will develop a patina, which is basically a fancy way to describe a weathered look. The only downside is how the folio can fold a bit awkwardly, but you’ll get used to it. Nomad provides a limited 2-year warranty covering workmanship defects and charges $4.95 for standard 3 to 7 day shipping in the United States. If you protection is your aim, then these cases are your gain. Case makers carried out rigorous drop tests to ensure they can shield your iPhone from some of the worst mishaps. Highlights: Casetify is one of the most unique and colorful case makers around. The company has a range of artsy cases with different prints and designs for the iPhone XS Max, XS, and XR models. You can even decorate your own case. (A plain, clear option is also available for $10 less.) These cases are sturdy too, earning Casetify its slogan of “Real Cute. Real Tough.” The Impact Case is “military grade” and can survive drops of 6.6 feet. One downside is that Casetify appears to only offer a 6-month warranty. But shipping on orders of $35 and up are free worldwide. Moshi offers a limited lifetime warranty on all of its products and free 5 to 7 day shipping in the United States. Highlights: Mous’s Limitless cases come in the same style but in a variety of prices and materials, including bamboo, leather, carbon fiber, walnut wood, and even shell. 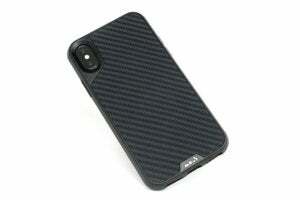 This particular case is Mous’s ultra-protective carbon fiber version. They aren’t cheap. But the company’s AirShock technology promises to deliver maximum protection. Videos on the Mous’s site show the cases being slammed with a hammer as proof. Mous offers free shipping on orders over $75 and a limited lifetime warranty. Highlights: If you like texture, here’s a case for you. 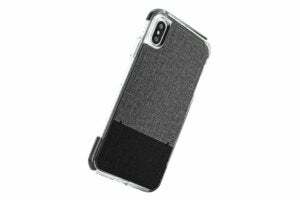 This uniquely styled case from Proporta has a grey marl textured back to run your fingers on and a durable protective body. 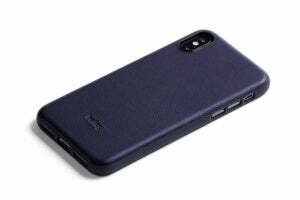 The hardshell case is made from TPU gel and has an air shock wall with a charcoal TPE gel lining. It even has a kickstand that swings out from the top of the case. But not only is the Proporta Flex Switch effortlessly stylish, it’s also incredibly durable. The case is sturdy in all the right areas, but flexible where buttons and ports are located. The air pockets lining its interior also provide extra shielding from drops. Proporta offers a lifetime warranty and ships to the U.S. for free within 5 to 7 working days. Who doesn’t love leather? (Unless you're a vegan, of course.) Here are some of our favorite leather iPhone cases money can buy. Highlights: This San Francisco-made iPhone case from WaterField will complete your executive look. 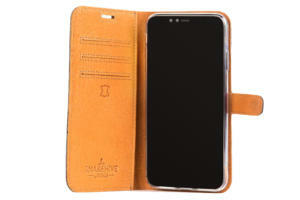 The case is made from thick leather and has a strong magnetic clasp on the back and front. So no need to worry about it falling off your belt, pocket, or wherever else you attach it. 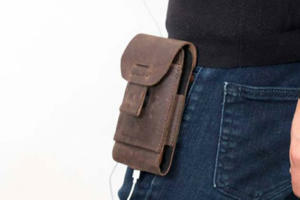 It also sports another interior pocket that could hold a small wallet or some bills and cards. And the iPhone pocket itself is roomy enough to fit a phone already surrounded by a relatively thin case. The Ranger is pricey at $90, but it feels well-made and looks expensive. Plus, WaterField offers a lifetime warranty and charges only $2 for first class shipping. Highlights: Bellroy is known for its leather products, and the humbly titled Bellroy Phone Case is no exception. It’s simple, timeless, and very light for a leather product. (This is thanks to it being a mixture of both leather and polymer.) The fit around the iPhone XS Max is also perfect. Just like other Bellroy cases, the Phone Case comes with an impressive 3-year warranty. Shipping to the United States is included. Highlights: Thin and leather, what's not to love? Even more impressive is how this case from Totallee is just as thin and light as the company’s plastic cases. And it will only set you back an additional $4. It's leather body also appears more shock absorbant than the company's plastic shells. Just like the other cases, Totallee provides a 2-year warranty and a 30-day money back policy. Standard shipping will cost $4.99 for 2-5 business days or $8.99 for 1-3 business days. Orders over $35 include free shipping worldwide.